From a fancy hair do to a humble blow dry, from a hair ritual to some skin pampering, from body nourishment to hair care..there's so much beauty care that you can gift yourself and what better place than Jazz Up salon to go to for a good self pampering session! 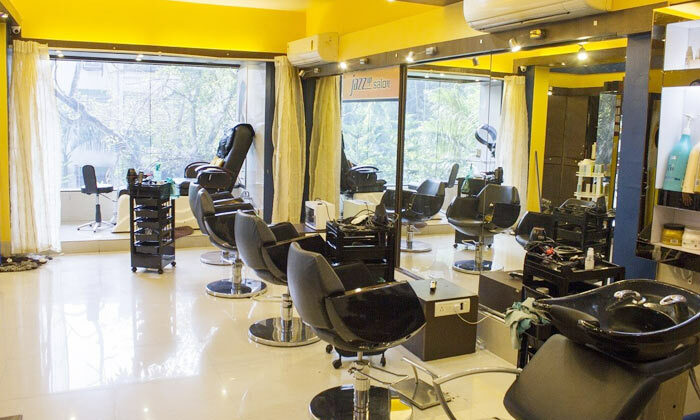 A chic unisex salon offering a wide range of skin, hair and beauty services, Jazz Up is just the right place for that makeover that you've been wanting since long! They've partnered with the best of brands and have some of the most talented professionals on their team which makes their services exquisite, exclusive and of course, effective! So the next time you wanna jazz up, try Jazz Up!